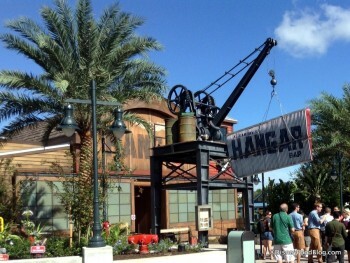 Jock Lindsey’s Hangar Bar is located in The Landing at Disney Springs. So, who is Jock Lindsey? He’s an oft-trusted pilot for Indiana Jones from the popular film franchise, and he found his waterfront hangout while searching for the Fountain of Youth with Indiana himself. Tales of the travels of Jock and Indiana are told through the decor of this uniquely themed lounge. Cocktails and tapas are the focus of the menu, with drinks like the Hovito Mojito (Barsol Quebranta Pisco, lime juice, and simple syrup) among the specialty beverages. “Air Pirates Everything Pretzels” served with house made mustard and beer cheese fondue, and “Rolling Boulder Meatballs” are just two out of several small plates available for noshing. 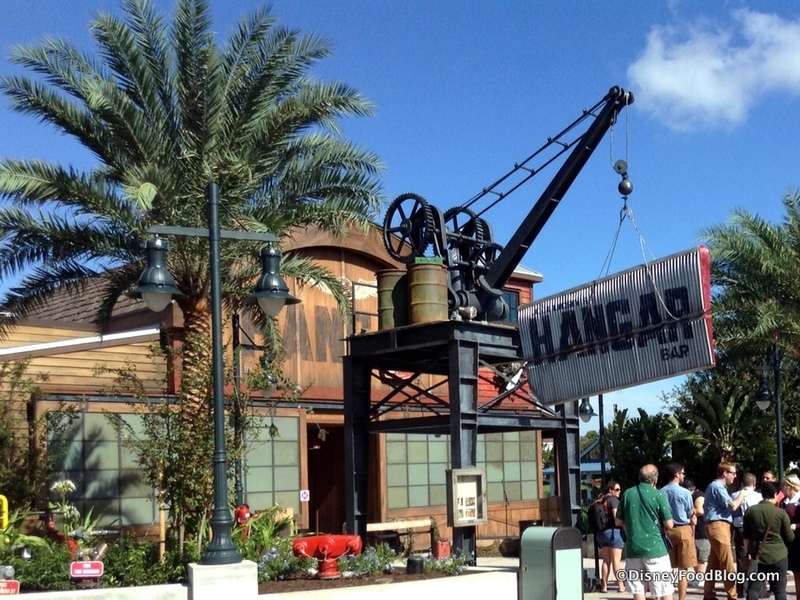 Important Information: Jock Lindsey’s Hangar Bar opens at 11:30 am daily. It can be found between The Boathouse and Paradiso 37 in The Landing of Disney Springs. Review and Photos: New Menu Items at Jock Lindsey’s Hangar Bar in Disney Springs!! Disney Food News This Week: Everything That’s NEW at the Disney Parks! Where to Find All the HOLIDAY EATS in Disney Springs! Guess Where Poison Apple Glow Cubes Have Landed in Disney World! WonderFall Flavors Kicks Off September 7th in Disney Springs! Act FAST to Get This GIGANTIC BURGER in Disney World!